The Pends is the road that runs from St Andrews Harbour up to the Cathedral. The walls here are probably built using the stone from the ruined cathedral. I doubt very much that they are original medieval city walls, especially since there is now a public toilet in the round tower on the left of this photo. The building on the right with the large cross on it, is the old town mortuary, this is now also a public ladies toilet. 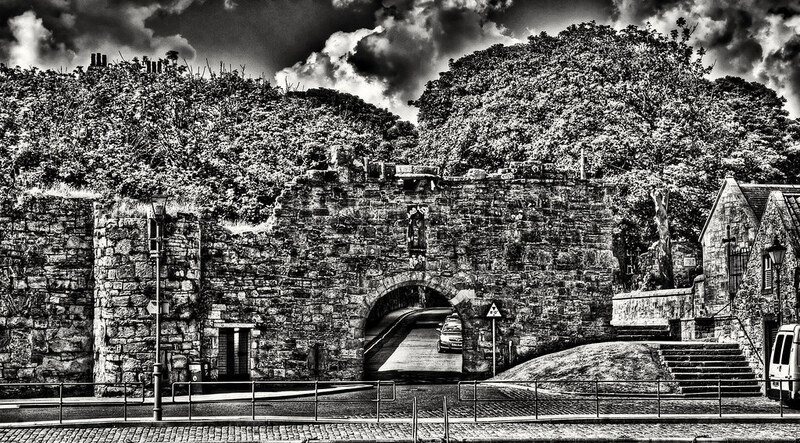 This entry was posted in Medieval, Scotland, St Andrews and tagged fife, hdr, Medieval, Scotland, scottish, skreid, St Andrews, street, town, urban. Bookmark the permalink.